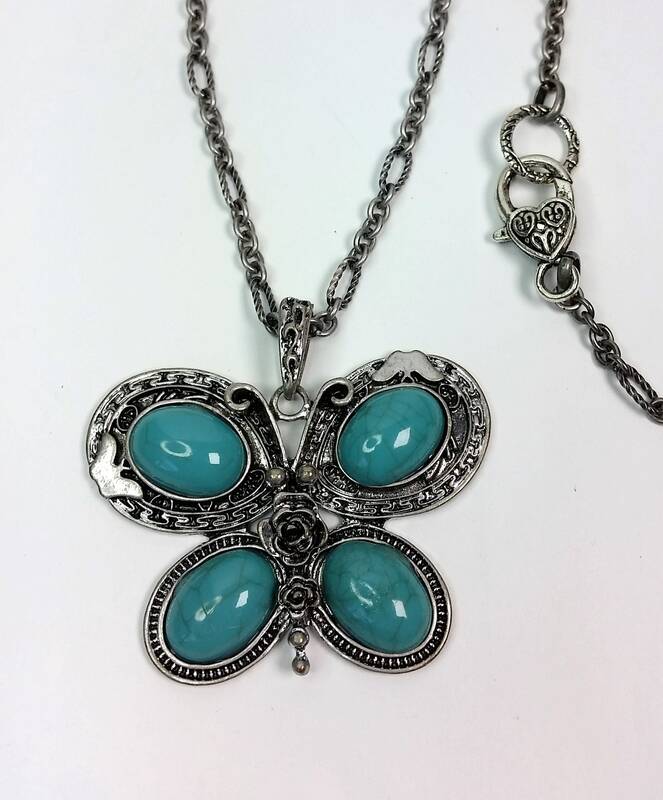 This outstanding butterfly pendant with four turquoise cabochons, one on each wing section, has a hand crafted chain of textured long oval links and smooth matte finish smaller ovals in an antique silvery tone. 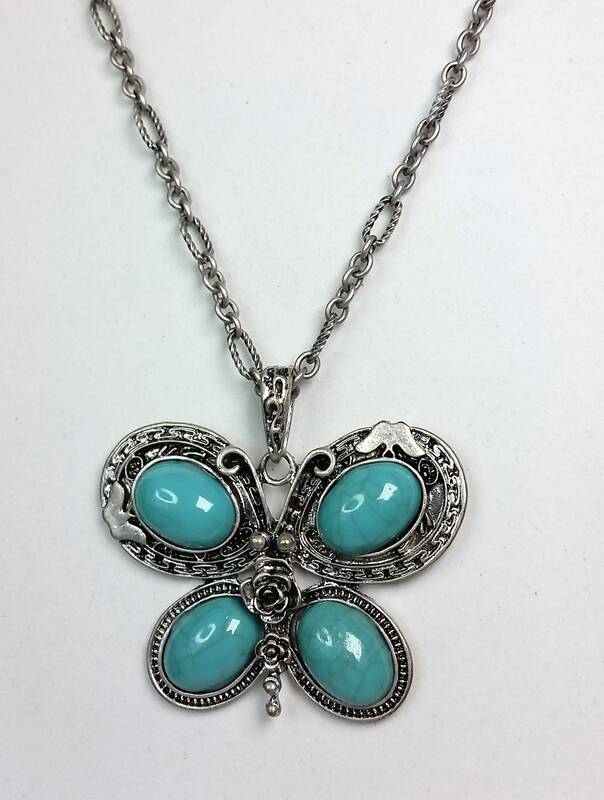 The chain has a decorative large lobster style clasp that has a raised heart design on it. It is easy to use. The chain measures approx. 30 inches in length. Butterfly dimensions approx. 2 x 2.4 inches (5.08 x 6.10 cm) including the bail. 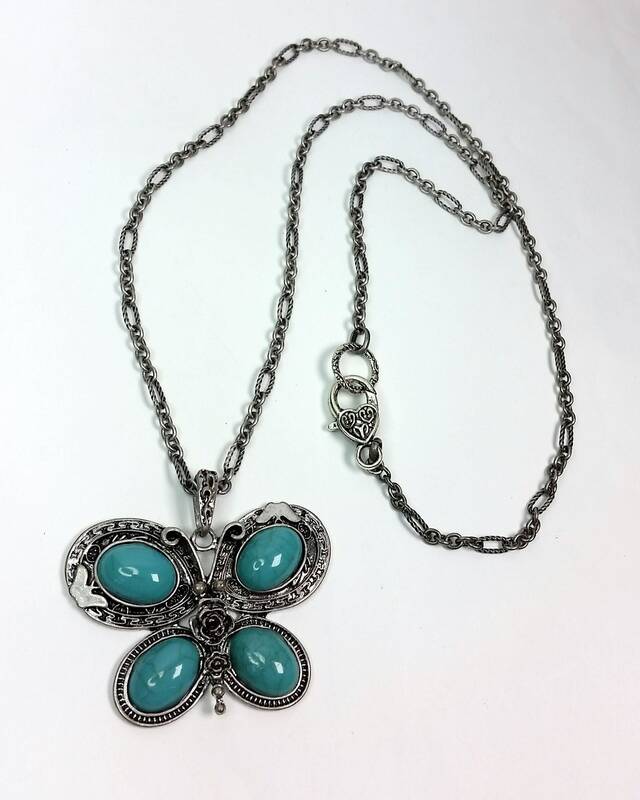 Note if you prefer a shorter necklace, I can shorten the chain on request of a specific length. 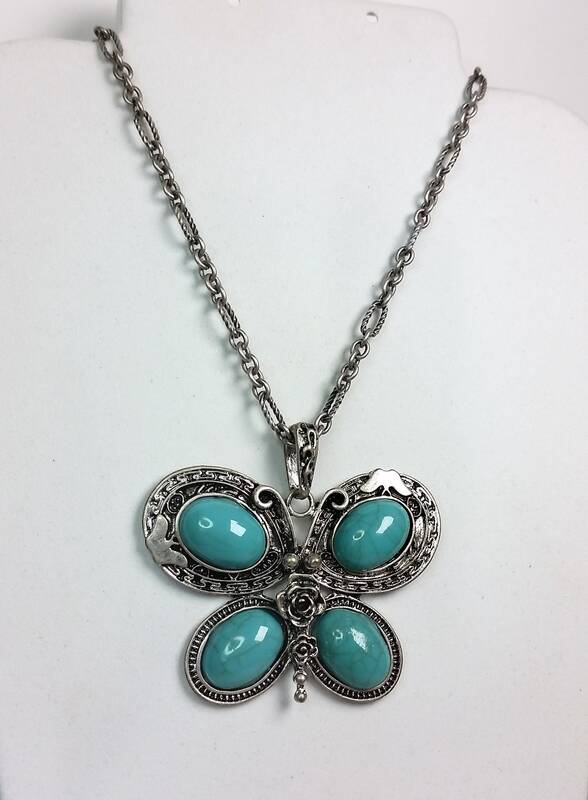 Turquoise is said to have both healing and protective qualities.